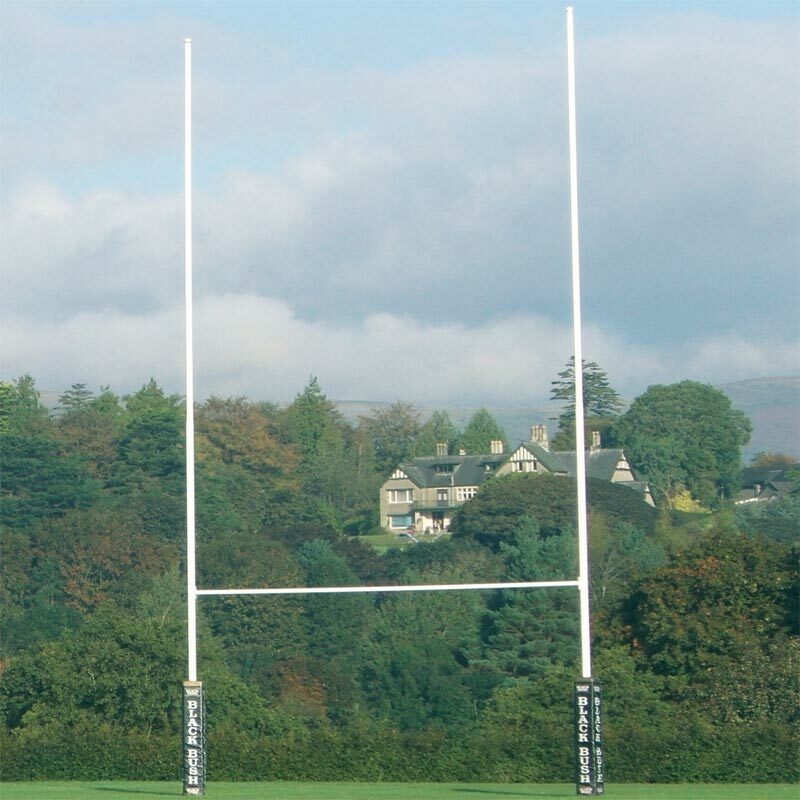 Ideal for clubs and senior schools the Harrod Sport Socketed No.1 Steel Rugby Posts are available in two heights and supplied in sections for ease of storage. 1.2m deep sockets with 91mm inside diameter and complete with stabilising fins and base plates. Top uprights are fitted with caps. to seal them. Bottom uprights 7.3m long x 89mm diameter x 3.2mm thick. Top uprights 6.5m long x 76mm diameter x 3.2mm thick. Crossbar 5.6m long x 76mm diameter x 3.2mm thick. Top uprights 5m long x 76mm diameter x 3.2mm thick.